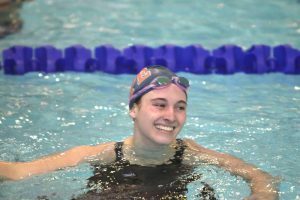 Erica Slenk, a sophomore on Hope College’s swimming and diving team, is studying early childhood education with a minor in Spanish. Coming to Hope College, Erica grew even more passionate about swimming and diving. She loves the atmosphere of the team. Erica competes in the 100 and 200 meter breaststroke, and 50 and 100 meter freestyle swim. 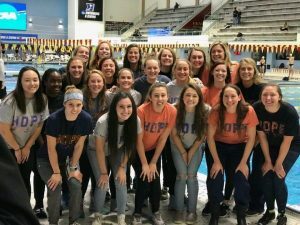 Erica says Hope College’s swimming and diving team is like a family. The team shares meals together and sit at chapel together. They all get along so well. 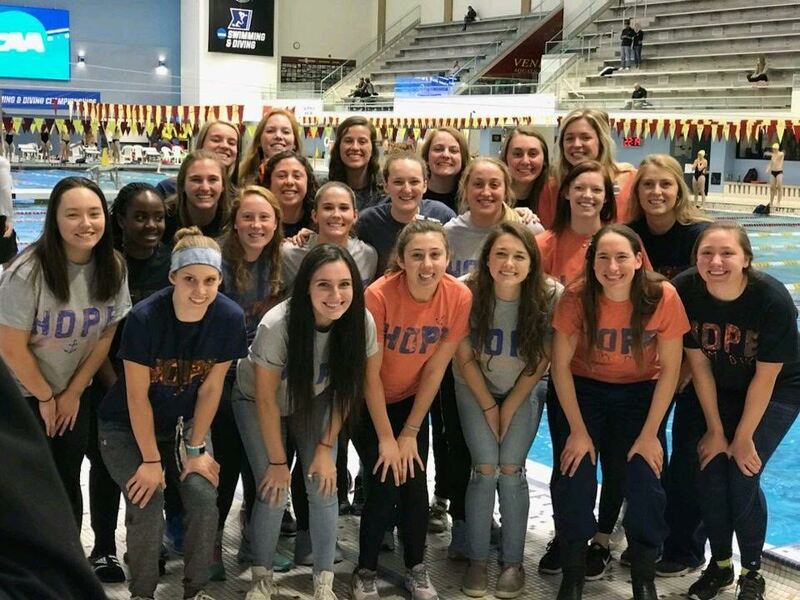 Hope College Swimming and Diving Coach, John Patnott, has been voted the NCAA Division III national Coach-of-the-Year by the College Swimming Coaches Association three times. Through Hope College, Erica has met so many people from so many different places around the world. Each with different backgrounds and different beliefs which have helped her grow in her beliefs and as a person. She has learned about who others are and what others believe and their reasoning behind their beliefs. Erica is drawn to early childhood development because she has always had a passion for working with kids, and would love to work with younger children. Through Hope College, she has had a lot of opportunities to be in classrooms and field placements. Erica is also involved in Love your Melon, bible studies through Campus Ministries, and Nykerk song for the past two years. Your Orange and Blue Fund gifts support Erica and student-athletes just like her. Gifts to the Orange and Blue Fund go directly to support student-athlete scholarships and make it possible for many deserving student-athletes to attend Hope College and compete in athletics. You make an immediate and life shaping impact for students when you join the community of Orange and Blue Fund donors. Your gifts create passion and bolster commitment to help student-athletes grow spiritually, academically, and athletically. Investing in Erica and all Hope student-athletes provides them with an unsurpassed educational and athletic experience at Hope College. Your faithful giving makes a difference. Give now at crowdfunding.hope.edu/athletics.